Why do Muslims fast in the month of Ramadan? 1. Develop Taqwa or God consciousness. 2. Prove that fasting is the epitome of the five pillars of Islam. 3. Obedience to the commandments of Allah. 4. Following the footsteps of all Messengers of Allah. 5. Way to worship Allah. 6. Shield from the Hellfire. 7. Reap the full reward of Lailat-ul Qadr. 8. Getting closer to Allah and earning a special reward. 9. Seeking repentance for the past sins. 10. Time to count the blessings from Allah. 11. Build a relationship with the Quran. 12. Build a relationship with the Islamic way of life. 15. Share the same experience with the Muslim Ummah; building brotherhood. 16. Feel the hunger of the poor. 17. Make friends with past enemies. 18. Build self and social discipline. 20. Build patience and steadfastness. 24. Control negative emotions like anger and jealousy. 25. Detach from worldly things (at least for thirty days). 26. Revive one’s spirituality and modify personality/character. 27. Establish spiritual foundation of sincerity. 31. Be a part of the health-supporting system; natural hygiene. 32. Transition to make lifestyle changes. 33. Receive good health faster. 34. Eliminate toxins and metabolic byproducts. 35. Overcome addictions to alcohol, cocaine, nicotine etc. 36. Reduce the size and effect of body tumors. 37. Reduce neck and back problems. 38. Reduce high blood pressure. 39. Speed up response to Angina and intermittent claudication. 41. Reduce gastrointestinal disturbances (Eg: gastritis, constipation, bloating etc). 42. Bring diabetes under control. 43. Divert energy from the digestive system towards metabolism and immune system. 44. Effectiveness of the production of proteins to replace damaged cells. 45. Build healthier cells, tissues and organs. 46. Reduce core body temperature. 47. Reduce Basal Metabolic rate to conserve energy in the body. 48. Efficiency in hormone production. Tips to Help You Enjoy Taraweeh This Ramadan! Remind yourself it’s a once in a year opportunity..
Why pass up such an opportunity? Make sure all your work is taken care of before you head out for Taraweeh. Plan your day so that homework is finished, emails are typed out, the dishes are cleaned and the kids are tucked away in bed for you to be able to stand through Taraweeh without your mind being occupied. If you cannot finish off certain tasks before Taraweeh then set a time after it when you will be working on these tasks. In this way, everyone makes it to Taraweeh without anybody slipping off under the bed covers and dozing off. If you are able to offer a ride to your friends in the neighborhood then there is insh’Allah, ajr (reward), for becoming a means for them to get to the masjid. Also, going along with a group adds to the enthusiasm! Finally, if you get to the masjid early with a group, you could cozy up in a corner and have a mini halaqa. This is important. You leave five minutes before the prayer begins, you get to the masjid breathless, you’re thirsty now and there’s no place to stand, you finally find a spot where you are squished between crowds of people, this spot is hot – disaster during Taraweeh. Do not take a nap after iftaar, leave for the masjid right away. This will ensure that you get to the masjid without any puffing or panting and you can get a comfortable spot. Leave a portion of your daily Quran recitation to recite during this time. Yes, we have all been hungry all day and seeing the delicious iftaar meal on the table makes you never want to stop. However, stocking up on all of it will do you more harm than good. It’s also against the sunnah! So go easy on your stomach and eat light. A full belly makes for a very uncomfortable Taraweeh. You may have a few more bites when you return from taraweeh if you feel you haven’t eaten enough. This is by far the most crucial tip for Taraweeh prayers. Often we begin to feel tired and restless during Taraweeh because we have no clue about what is being recited! This also takes away from the khushu’ in one’s prayer. There are long-term and short-term solutions for this.The short-term solution: Get to know ahead of time what the imam will recite during Taraweeh the next day. Ask the imam or just predict! That night, pick up a copy of an English translation of the Quran and read the word-to-word translation and perhaps some of the commentary on those ayahs. You’ll feel far more alert during Taraweeh when you’re able to pick up on some of the meanings of what is being recited.The long-term solution: Plan ahead of Ramadan. Enroll yourself in online or local Arabic courses and learn some basic Quranic Arabic. Also, try joining Tafseer courses to be able to understand the beauty in the meanings of the Quran. This works far better than reading a mere translation of the Arabic text – but you need to plan ahead! The Taraweeh prayers are a nafl prayer. Make sure in all the hype about Taraweeh, you don’t neglect your fardh (obligatory) prayers! Often halfway through Ramadan, we begin to feel a ‘dip’ where the enthusiasm for Taraweeh from the first few days begins to wear away. Avoid it. You may try new things to keep up the enthusiasm such as going for Taraweeh along with a friend, forming a halaqa with a few friends at the masjid after prayer etc. But most importantly, remind yourself why you’re going for Taraweeh each day and renew your intentions. Carry a water bottle with you to freshen up in the breaks during the Taraweeh. To pump up the goodness and rewards, bring a few extras for others praying in the masjid. Sometimes people in the masjid may get on your last nerve. It’s hot and crowded, kids cry and people push. But keep your smile on. Ramadan is all about clinging to patience. It’s the month of asking for forgiveness and seeking His Bounty. Learn different du’as that you can recite during the long prostrations in Taraweeh. If there’s any time when you should really increase those du’as, then it’s definitely during Taraweeh! Salaah, one of the pillars of Islam is a duty enjoined upon believers to be performed sincerely and devotedly. A Muslim should always strive towards earning the pleasure of Allah (swt). There is undoubtedly no better way of achieving it than by fulfilling the purpose for which we have been sent on earth by Allah (swt). Success comes from proper composition of well-defined purpose and sincere efforts. Thus alaah should be performed in full submissiveness and obedience. Allah (swt) thus asks believers to guard prayers strictly and offer Salaah in the best form. The above verse from Surah Al-Nisa of Glorious Qur’an stresses the disliked way of praying, which reflects the deception in purpose, lack of vigor and thus a deficiency in love and fear towards Allah (swt). The true purpose of Salaah is remembrance of Allah (swt) and to seek pleasure of Allah (swt) by glorifying and praising him for his uncountable favors towards his creations. Allah (swt) affirms. Qur’an bears the testimony of the consequences one would face for being neglectful of Salaah by abandoning it. In Surah Al-Ma’arij verses 19-23, Allah (swt) uses the word halu’an to describe the restless and impatient nature of man. Whenever he is afflicted with some trouble he lacks the patience (Arabic: Sabr) and trembles in despair. This arises due to shortcomings in trust towards Allah (swt). On the other hand, when he is given in abundance he turns ungrateful towards the Sustainer Allah (swt). He is encompassed with arrogance and uncaring attitude towards the less fortunate ones. Thus Allah (swt) assures the observance of Salaah as way to preserve hope in times of grievance and humbleness & humility in periods of bountiful life. Salaah has the power to erase the roots of the evil deeds (Arabic: al-munkar) causing barrier amidst society and giving birth to wrong attitude of racial as well as financial discrimination and sinful intentions. Allah (swt) confirms the merit of Salaah. Glory be to Allah (swt) who has given us such an opportunity to seek his pleasure and attain salvation. “Good Things come at a Price” The price (remembrance of Allah (swt) through Salaah) we ought to pay is very miniscule compared to the wonderful reward we are to achieve i.e Paradise. May Allah (swt) give us the courage to establish constancy in Salaah! Is it permissible to take pills in order to delay menstruation for fasting? Is it permissible to take pills in order to delay menstruation and complete all the fasts in Ramadan? There is no objection in taking pills during Ramadan in order to prevent menstruation with the intention of completing all the fasts. However this permissibility will become void and the taking of pills will become forbidden if the pills would cause harm to the person. People have different health issues and while to some the pills would be harmless, to others they can cause harm. As a result people must consult their family doctor who would be well aware of their health issues to assess any harmful effects. Question: Can we start the fast while in a state of Janabah (sexual impurity) and then perform Ghusl later on? Answer: It is certainly permissible to start the fast while in the state of Janabah. Ghusl can be performed later on. The permissibility of such is derived from incidents in the life of Prophet Muhammad ﷺ as explained in the ahadith. "To eat or drink in a state of Janabah without washing hands and face or without wudhu, whether in or out of Ramadan, is against the best of practices with the condition that there is no impurity on the hands. It is appropriate to do Ghusl before having suhoor or to do wudhu or at least to wash the hands.1"
Can I hug and kiss my wife while fasting? Question: Can I hug and kiss my wife while fasting or will that invalidate the fast? Answer: It has been reported through various ahadith that Prophet Muhammad ﷺ did hug and kiss his wife while fasting. It is important to note that he had much control over his sexual desires. A man who fears that hugging or kissing his wife would cause him to lose control and cross the boundaries set by Allah (swt) for fasting, should not hug or kiss his wife at all. Although if a person has no fear of being aroused in a sexual way when he hugs or kisses his wife then it is permissible for him to do such. However, you cannot kiss your wife where the saliva exchanges. That will invalidate the fast. To base any ruling on a hadith with such a weak health is incorrect. Even if for argument's sake one says that this hadith is sound, even so, to conclude that it is permissible to swallow the saliva of the wife which is transmitted by kissing is incorrect. This is due to the fact that the hadith remains silent on whether this saliva was spat from the mouth or swallowed. Thus, even by accepting this hadith to be sound, the ruling of swallowing saliva cannot be established. A third answer is given, as stated in al-Durr al-Mandud Sahrh Sunan Abi Dawood, vol.4 pg 216, the "و" after 'wa huwa saa'imun' is not "'aatifah" but is "Ist'nafiyah" in which case it will be a completely new statement and will not be linked to "and he was fasting". Swallowing someone else's saliva invalidates the fast and thus such a kiss would not be permissible. 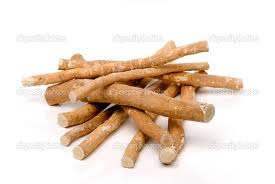 Is it allowed to use miswak while fasting? Narated By Abu Huraira: The Prophet said, "If somebody eats or drinks forgetfully then he should complete his fast, for what he has eaten or drunk, has been given to him by Allah." Narrated 'Amir bin Rabi'a, "I saw the Prophet cleaning his teeth with Siwak while he was fasting so many times as I can't count." And narrated Abu Huraira, "The Prophet said, 'But for my fear that it would be hard for my followers, I would have ordered them to clean their teeth with Siwak on every performance of ablution." The same is narrated by Jabir and Zaid bin Khalid from the Prophet who did not differentiate between a fasting and a nonfasting person in this respect (using Siwak). It is better, however, to spit the resultant saliva because if one would accidentally swallow a piece of wood then his fast will get invalidated. The month of Ramadan in which was revealed the Qur’an, a guidance for mankind and clear proofs for the guidance and the criterion (between right and wrong). So whoever of you sights (the crescent on the first night of) the month (of Ramadan, i.e., is present at his home), he must observe sawm (fasting) that month, and whoever is ill or on a journey, the same number [of days which one did not observe sawm (fasting) must be made up) from other days. Allah intends for you ease, and He does not want to make things difficult for you. (He wants that you) must complete the same number (of days), and that you must magnify Allah for having guided you so that you may be grateful to Him. Allah said: …a guidance for mankind and clear proofs for the guidance and the criterion (between right and wrong). Allah said: So whoever of you sights (the crescent on the first night of) the month (of Ramadan, i.e., is present at his home), he must observe Sawm (fasting) that month. This verse requires the healthy persons who witness the beginning of the month, while residing in their land, to fast the month. When Allah ordered fasting, He again mentioned the permission for the ill person and the traveler to break the fast and to fast other days instead as compensation. Allah said: …and whoever is ill or on a journey, the same number [of days which one did not observe sawm (fasting) must be made up) from other days. Allah said: Allah intends for you ease, and He does not want to make things difficult for you. .and glorify the praises of your Lord, before the rising of the sun and before (its) setting. And during a part of the night, glorify His praises, and after the prayers. Allah’s statement: …so that you may be grateful to Him. means: If you adhere to what Allah commanded you, obeying Him by performing the obligations, abandoning the prohibitions and abiding by the set limits, then perhaps you will be among the grateful. Narrated Abu Huraira: The Messenger of God- PBUH – said; “Allah- most high said, (All the deeds of Adam’s sons (people) are for them, except fasting which is for me, and I will give the reward for it.” Fasting is a shield. If one of you is fasting, he should avoid sexual relation with his wife and quarreling, and if somebody should fight or quarrel with him, he should say, ‘I am fasting.’ By him in whose hands my soul is’ the unpleasant smell coming out from the mouth of a fasting person is better in the sight of Allah than the smell of musk. There are two pleasures for the fasting person, one at the time of breaking his fast, and the other t the time when he will meet his Lord; then he will be pleased because of his fasting). (All the deeds of Adam’s sons (people) are for them): means to them are the share of its reward in this Life, like people’s commendations to him due to his good deeds. (Shield): means protection and preservations from sins. And quoted from him that the Prophet –PBUH- said: “who fasts in Ramadan, totally believing and reverencing, all his preceded sins will be forgiven.” And in another quote (preceded and future sins). If it is for a legal excuse; like sickness, disability etc. he is excused to break the fast, yet he is obligated to make up (Qadda) in other days, except if the disability is constant and the sickness is incurable, then he must pay instead of each day he breaks a Fidya (financial compensation), which is feeding one poor man ‘Miskeen’ for each fast missed. But if his breaking is with no excuse; then he commits a sin and he must make up (Qadda) and to pay kaffara, because he breaks the sanctity of the Month and he must repent and seek refuge in God, that he might be redeemed of the sins for what he did. The white thread and black thread are the whiteness of the day and the blackness of the night. It is not necessary to utter the intention, because it is by heart, and the trueness of it is intending to obey Allah’s commandments, and seeking His pleasure. The one, who has Suhor (a meal before daybreak, intending to fast ) is and intender, and the one who inteds to restrain himself from the things that brak the fst, during the day, completely devoting to God, is also an inteder evern thought he dis not had Suhor. Upon whom fasting is incumbent? Fasting or Ramadan is Fard (Compulsory) for all those who attain these conditions. 2. Maturity –puberty-: it is not obligated upon a boy, but the distinguisher – the boy who reached 7 years- is ordered with it as ordered with prayer, in order to make him get used to obedience. 3. Brain; it is not obligated upon crazy people, and it is not accepted even if they fast, because they are brainless. 4. Purity of menstruation and postpartum, it is not accepted from the women during that periods to fast till she purify, and she has to make up (Qadda) after attaining purity the days she has missed. 5. The ability to fast: fasting is not obligated on those who cannot bear fasting due to old age or incurable sickness, yet those who have curable sickness and the pregnant who fears for her child or herself and also the breast feeding mother shall break their fast but hey have to make up (Qadda)in other days.